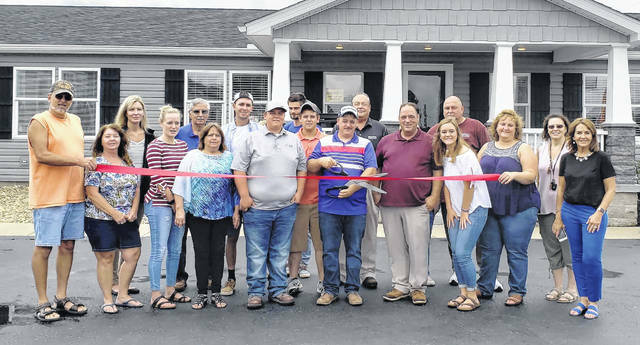 The News Journal advertising staff congratulates Schuler Quality Homes, which celebrated its grand opening on Saturday, Aug. 18 with an open house and ribbon-cutting ceremony in conjunction with the Wilmington-Clinton County and Highland County Chambers of Commerce. George Schuler and his son Rob Schuler have been building houses for more than 25 years and are excited to announce the grand opening of their new sales office and model lot that offers quality stick built, modular, and manufactured homes for every budget. Schuler Quality Homes is at 10920 State Route 73, New Vienna. Learn more by calling 937-987-4127 or visiting http://schulerqualityhomes.com/ .